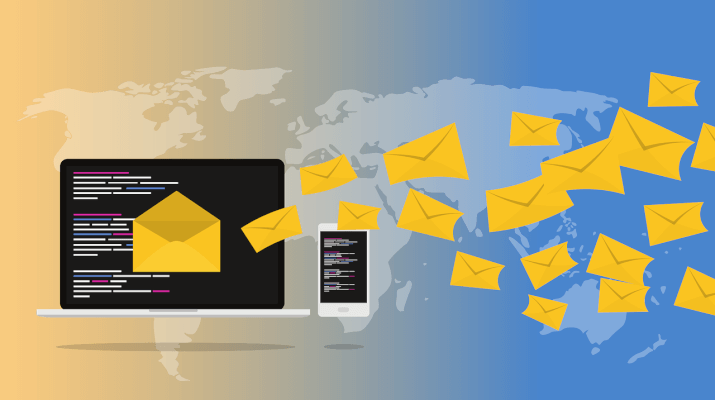 If email marketing is one of the dominant marketing strategies that your business dramatically relies upon, it’s high time you should consider buying the dedicated server. Many organization relies on the email marketing as the prominent part of their marketing strategy. For that, the dedicated server can be of great help in getting bigger exposure. Email marketing is the reliable communication medium to reach out to new as well as old customers but make sure that you do it the right way using the right tools and server. Many businesses put their fate in the hands of other companies to send out their emails while this is a useful option for some businesses. Frankly, it’s better to get along with a dedicated server. With dedicated servers, you have more control almost every feature. It’s essential to have access to all the resources since you’ve got a large list of contacts who will receive your emails. For instance; you have thousands of customers, and they often receive regular emails from your side as a part the marketing campaign, you’ll surely need the full resources of a dedicated server. Many large enterprises have several email campaigns going on at the same time as emails for prospective customers, lapsed customers, and loyal customers. Having a dedicated server will allow the system to handle such requirements for your company. With such a versatile system being supported by a dedicated server, companies can create a variety of emails and set up a method of delivering to the customers at a predetermined time. Experts have shared a few benefits of having a dedicated server for email marketing. But before that, let’s first clarify the confusion that most of you have with regards to a dedicated server. Should You Go with an In-House Server or Get Some Help? People often ask this question. Some organizations are convinced on having the in-house dedicated servers for their email marketing, so they have complete control over it. Well in some cases, it may be a good choice. But the digitally-aware crowd would be better off with the virtual servers. Nowadays, the clouds and the dedicated server are becoming very popular. Perhaps that’s the reason why companies are convenient in getting along with the third-party options to help them get a server setup for their email marketing system. While having the dedicated server, you can manage & control your emails in the future. In general server, it takes a lot of time to organize emails data and templates. So use the dedicated server, it’s going to save a lot of time and frustration. This is indeed a great option as it enables you to organize and manage emails and will have an easier time finding them in future when required. With a dedicated server, you have more security as compared to the general server. Whenever you shoot emails, it’s stored in a server. If the data server is hacked, all of the email content and recipient emails are compromised and even sold to your competitors. But with a dedicated server, you have the better security system and can even go offline when not in use. Dedicated servers offer an extensive level of customization. This way, you’re able to tweak or change things, install new features and manage it all according to your business needs. And most importantly, it can be expended in future in necessary. Do you want to learn more about how a dedicated server is a great option for email marketing? Just check out the article now.